To squat or not to squat: What we’ve been told and what we believe. “My legs are already too fat…” is probably the most common reflection, and equal among males and females (maybe in not the same words). 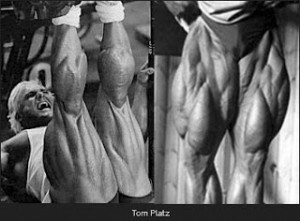 I used to hate the feeling of working legs because I felt I had to put so much effort into lifting. Plus, I’d have to buy new jeans after a few weeks of leg work! Chest and biceps. That’s the workout that everyone needs right? 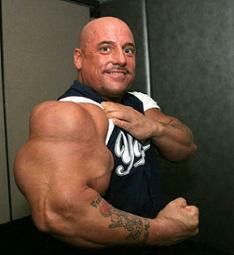 Summer time is here, and I would be darned if my biceps aren’t squeezed by the sleeves on my two-size too small t-shirt. Gotta look pumped! Your legs are a huge part of your body strength as a whole and unless you play sports in a sitting position, they are essential to your training. Even those of you who are just looking for easy functional exercises, most of what we do in life is squat, walk, deadlift, and even lunge every so often. 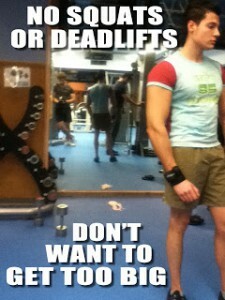 Squats bad for our knees? Since…1961: Karl Klein and Fred Allman wrote in “The Knee in Sports”. In a study, they found that the squat could negatively impact an athlete’s knee stability. 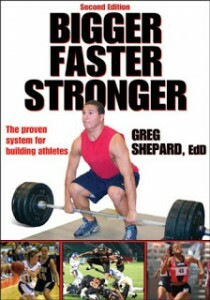 BFS (Bigger Faster Stronger – a great resource) explained that his results could never be reproduced. Did that just blow your mind? If it didn’t, you should read it again. So, let’s say you squat, whether thats with 300lbs sitting on your shoulders, or you are doing air squats (just body weight). Do you think the way you squat is important? Do you want your knees to pass over your toes? Why not? Who told you not to? Do they know why? Kinetics of the parallel squat: by McLaughlin in 1978 tell us why not. Shearing forces upon the tibiofemoral joint were substantially more when the knee passed over the toes, and were better when the shank remained practically vertical. McLaughlin, T.M., Lardner, T.J., & Dillman, C.J., Kinetics of the parallel squat. Research Quarterly. 42(4), 1978. Their findings are true, but what you may realize is that the knee is build to physiologically and anatomically accept that load. Toes over the knees creates a quad dominant exercise. 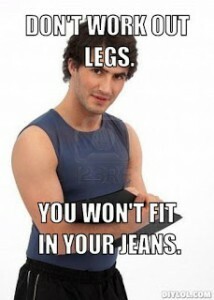 BUT, I didn’t just give you a free pass to do squats with knees over your toes. When the knee is positioned further back and the shank is more vertical, forces are placed significantly more on the hip. The hip is more stable, and stronger than the knee. If you want to have a stronger squat, you’ll have to practice the ‘sit back’ technique. Glut dominant movement will be where you get your power. How low do you go when squatting? Having your thighs pass the parallel line will further engage our posterior chain muscles: hamstrings and gluts. These are strong muscles, lets use them! Working the upper range of the squat works great for our quads and heavy loads (>1RM) can possibly create stronger bones (osteogenesis), but we are then encouraging quad dominance, and therefore creating imbalances and can lead to pathology. Athletic standards are based the parallel squat so if you ever want to be in professional sports, it’s a must. Do you think it’s important to work on the ‘full squat’ position (heels down)? Muscles work best in their inner range, not their limits. If you practice staying in a full squat position for a minute or two you will, 1. get us more comfortable with coming down to a parallel position when we do the real deal and 2. try to engage further range in your joints so that the parallel squat is now an inner range movement. BE SMART: the full squat can significantly increase the pressure upon the lower lumbar vertebrae if the back curves too much! If you are getting back pain while trying this, don’t push through it. Try to push your back into an arch position, and if you can’t: that’s something we have to work on – book an appointment! How much should my toes be turned out? Toe position affects the ability for our hip and pelvis to stabilize. The more your toes are turned out, the less effective are our small hip stabilizers because they are in a short position. Sometimes this out turning is inevitable because of poor ankle mobility, but this means that you have something to work on too! 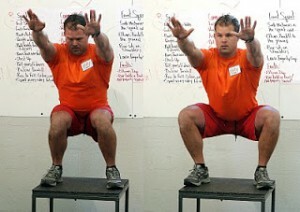 The squat is a multi-joint functional movement. Appropriate ankle, knee, hip, pelvis, and spine mobility (also the shoulder in those overhead squats) is required to be able to perform this exercise to max. Proper technique is a must, and sometimes technique will differ based on training goals, or cross-over into sports. Do not be afraid of the squat, but do do some reading about how to do a proper squat. BFS publishes a great book (by the same name: 2nd ed) that you should have in your library. Do you have knee pain when performing the squat? Does it gets worse when you even try to practice? Book an appointment with me at Paragon. We can assess the situation and perhaps recommend some pre-squat exercises for you to work on. Other myths need busting about the squat? Check out this site. © 2019 Paragon Physiotherapy. All rights reserved.